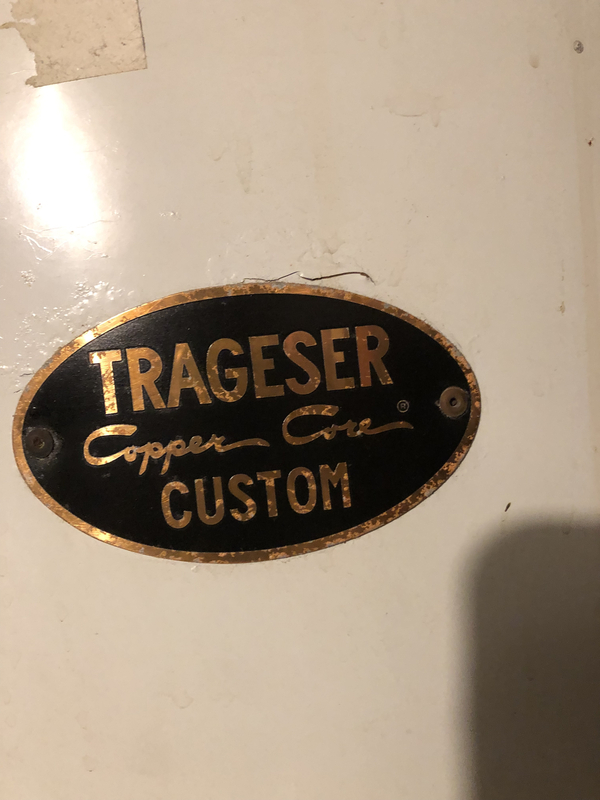 I have a Trageser copper core custom heater. 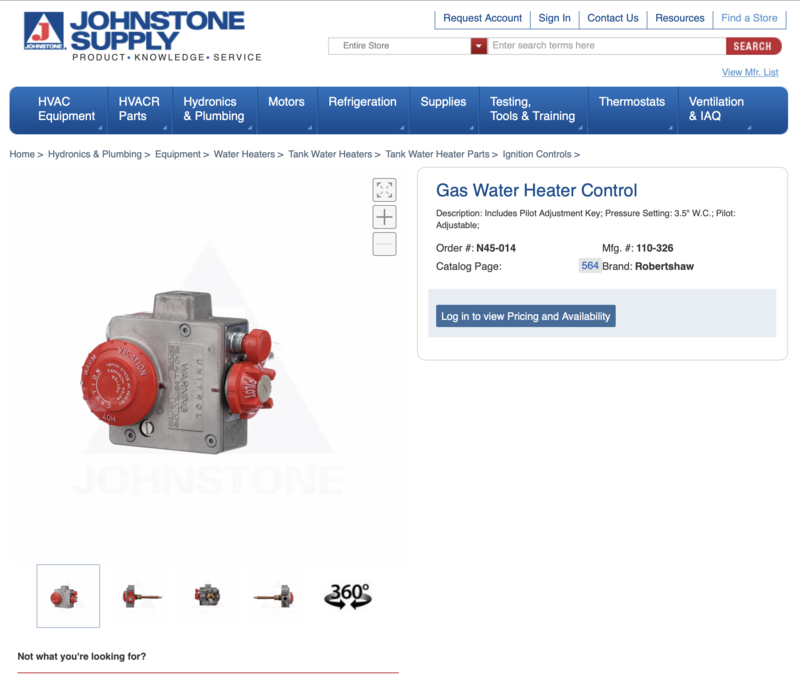 Model# CR 40 B , 60,000 BTU , 40 Gal . Serial# B14850 . Works well, except as of late i have to re lite it after every cycle. Want to know if it can be service ? Looks like that control on the front has seen some "tinkering"? Remember it is the safety device as well as temperature control. Depending on the age of the tank, it might be wise, and safe to have the control and pilot assembly replaced. Based on the specs provided, any idea where that part can be obtained ? 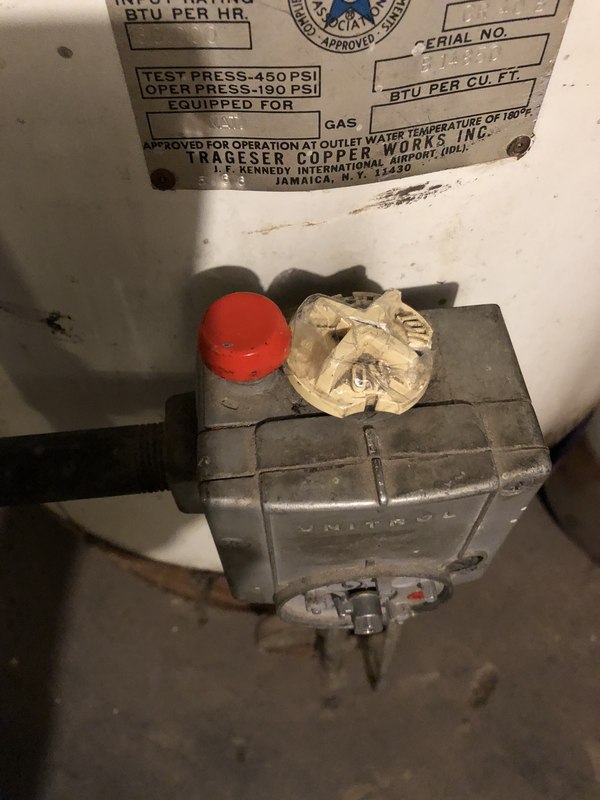 Hello, You have an older control, (1966? ), but if you can get the shank length and gas type, replacing it with a modern Robertshaw Unitrol valve should not be difficult. I'd also find both inner and outer hatch covers and put them in place. 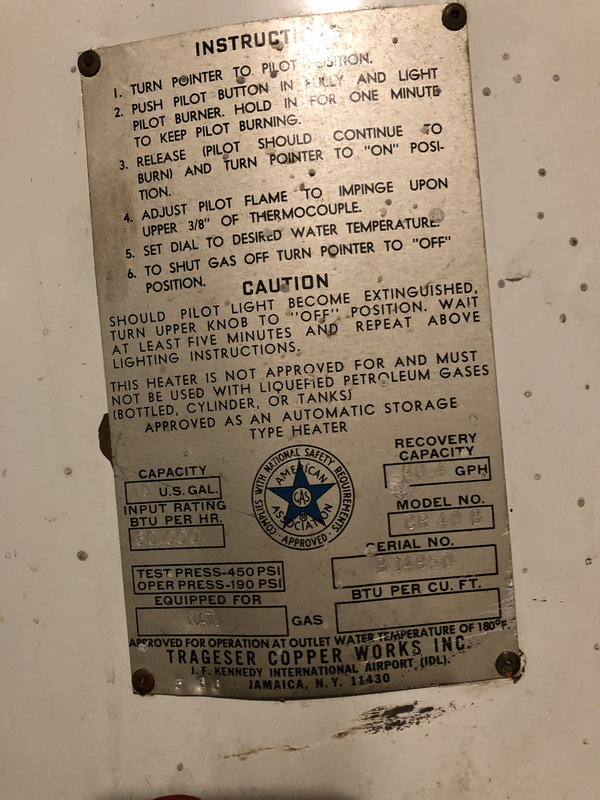 And, that tank may be old enough that it was not installed with a T&P relief valve. If so, find a way to do that!! Any model numbers on the control? 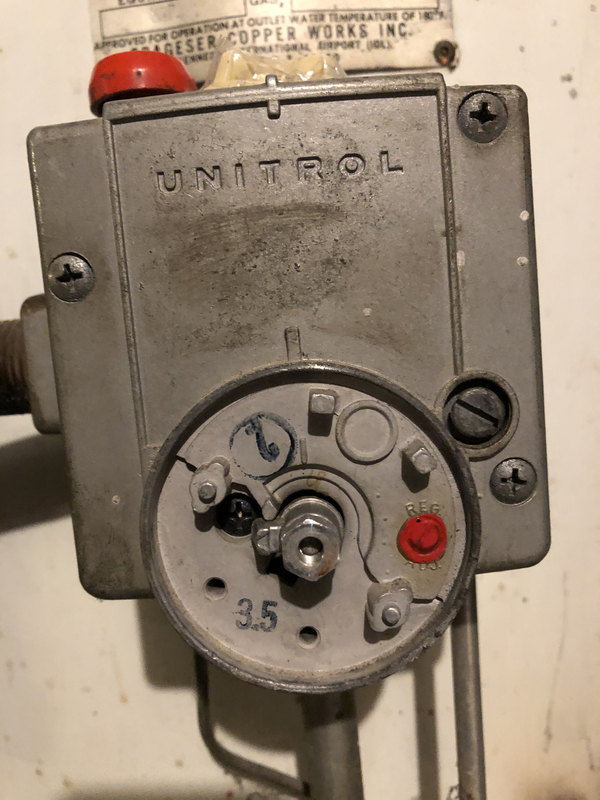 There are universal WH controls available, not sure if the piping connections would match up. Might need a pro to make the switch and assure it is burning correctly. Best water heaters ever made. They last forever. Get the numbers from the side of the control and I will cross reference it for you. > Best water heaters ever made. They last forever. Get the numbers from the side of the control and I will cross reference it for you. I don't think anyone would argue with that statement. Nothing made today will ever approach that type of longevity. 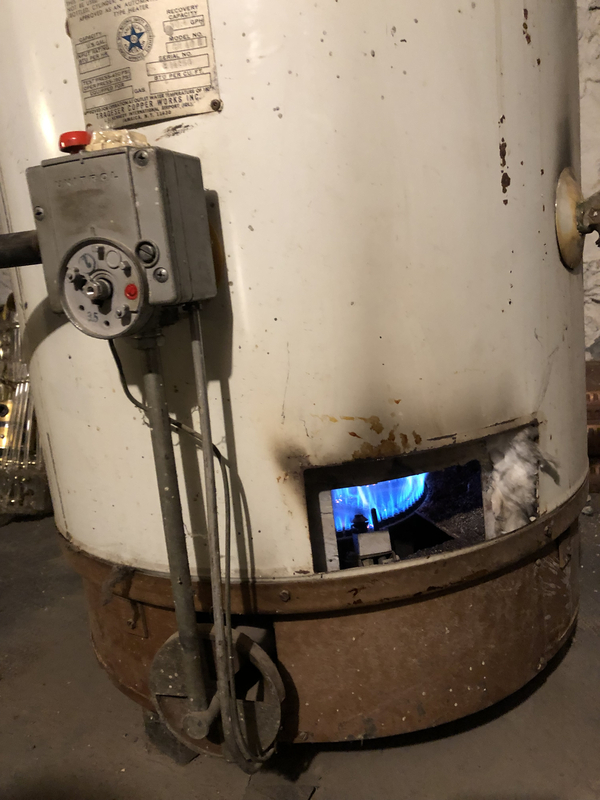 60k burner on a 40 gallon nice! Yes it will probably have a recovery around 50 gallons or so.